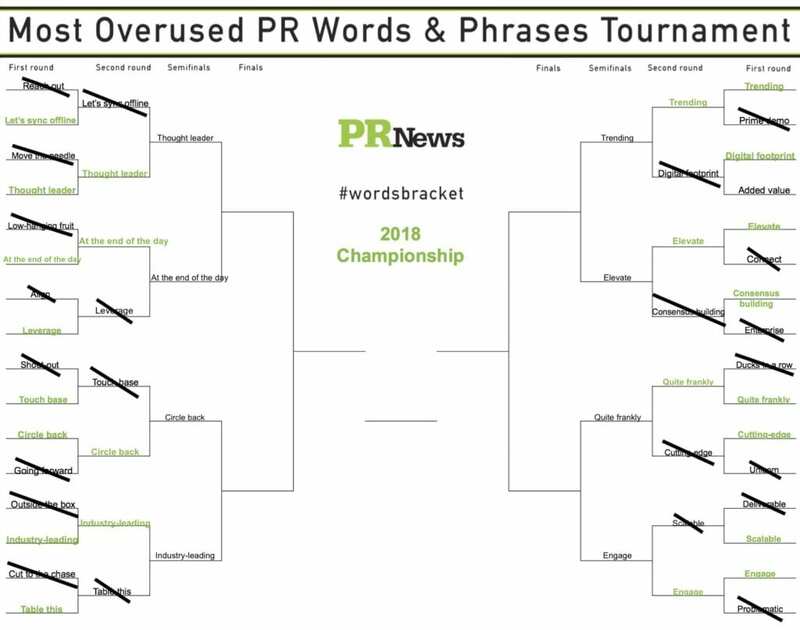 Earlier this month, PR News launched its own version of March Madness with the 2018 Most Overused PR Words & Phrases Tournament. Communicators reached out to us via Twitter with their votes for the most egregious examples of corporate jargon, from "trending" and "industry-leading" to "quite frankly." We present the "winners" (such as they are) of the second round here. Download a printable .PDF of the #wordsbracket and vote on Twitter for the overused words and phrases that you think should advance to the next round (please use the hashtag #WordsBracket). We'll announce the third-round picks next Thursday. Will You Be Ready When the President’s Words Move Your Market?